This product is no longer being imported into Australia and is now discontinued. A long time popular premium metallic white (or off-white) paper from Italy (shade almost identical to Crystal Perle™ Metallic Diamond White or Curious Metallics Ice Silver) - double sided colour. For those trying to colour match, some Australian wholesalers have rebranded this product and called it Metallic Bright White. This paper is manufactured by Cordenons Impressive Papers in Italy and is converted and packaged by Paperglitz in Sydney, Australia. 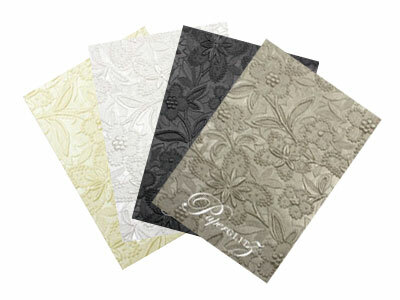 For over 15 years, Stardream has been one of the world's favourite metallic paper ranges. 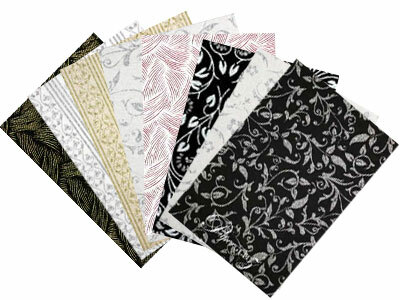 It is very popular for wedding invitations as it is a premium quality paper with fantastic batch & colour consistency. This stunning range of papers is also widely used for Annual Reports, Brochures, Menus, Greeting Cards, Wedding Invitations, catalogues, book & folder coverings, luxury packaging etc. 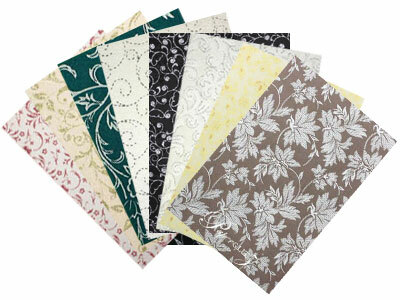 Larger sheets sizes such as A4, A3 & SRA3 are also available (maximum sheet size 720x1020mm). We can also guillotine to size and/or die cut to your specification. Contact us with your requirements for a quotation. We also carry this colour in 285gsm card stock, envelopes, boxes and a wide range of die cut DIY invitation cards. 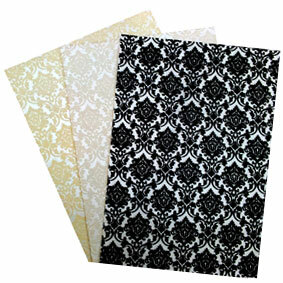 Buy with confidence and specify only "Genuine Paperglitz Stardream Metallic A5 papers" for your next project.